Nissan Motor Co slashed its full-year profit forecast to its lowest in nearly a decade due to weakness in the United States, just as it adjusts to life without Carlos Ghosn and charts its future with alliance partner Renault SA. If Nissan and Renault were a living, breathing couple, they’d be the duo all of your other friends whisper about. They’d be the couple with the big house and seemingly successful children that everyone knows fights bitterly in the evenings — screaming at each other before retiring to their separate bedrooms. The relationship, while healthy in terms […] The post Nissan-Renault Relationship Has Not Improved, Despite Assurances to the Contrary appeared first on The Truth About Cars. 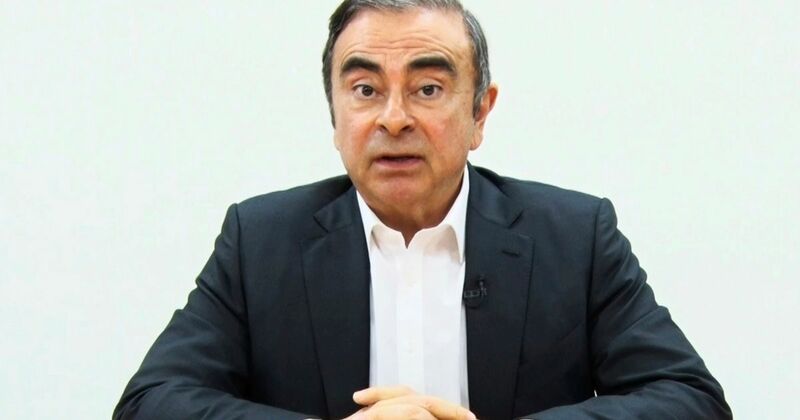 Carlos Ghosn has been indicted on fresh charges of breach of trust. Japanese prosecutors indicted Carlos Ghosn on Monday on another charge of aggravated breach of trust, a Tokyo court said, the fourth charge against the former Nissan Motor Co Ltd chairman which his lawyers met immediately with a bail request. The Latest on the Nissan Motor Co.'s former chairman, Carlos Ghosn, who is facing financial misconduct charges (all times local): 4 p.m.
Nissan Motor said on Monday it had filed a criminal complaint against former Chairman Carlos Ghosn related to an aggravated breach of trust under Japan's Companies Act. Japanese media report Nissan's former chairman Carlos Ghosn indicted on new breach of trust charges. .
Nissan Motor Co Ltd will cut global production by about 15 percent for the current fiscal year ending March 2020, as it shifts away from the aggressive expansion campaign promoted by former Chairman Carlos Ghosn, the Nikkei newspaper reported on Friday. Hyundai Motor Co has named Jose Munoz - previously seen as an ally of Nissan Motor's ousted chairman Carlos Ghosn and his potential successor as CEO - as global chief operating officer and head of operations in the Americas.